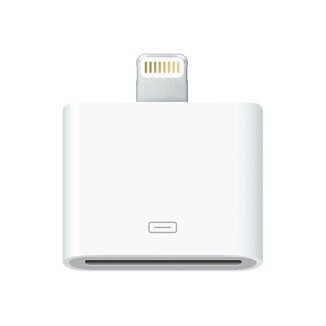 APP30-8 : Adapter for Apple chargers. Converts Apple 30-Pin charger to new Apple 8-Pin "lightning" connector. Enables your older Apple charging devices to be used with iPhone 5, 5c, 5s, 6, 6s, etc. Attaches to DC chargers, Wall Chargers, Docks, etc.